Minimize adverse reactions and eliminate irritation by using Silicone Under Eye Patches during your lash extensions application. Our hypoallergenic Silicone Under Eye Patches are highly recommended for clients with sensitivities, but are also excellent for all clients. The reality is, many factors play a role in causing or eliminating adverse reactions. 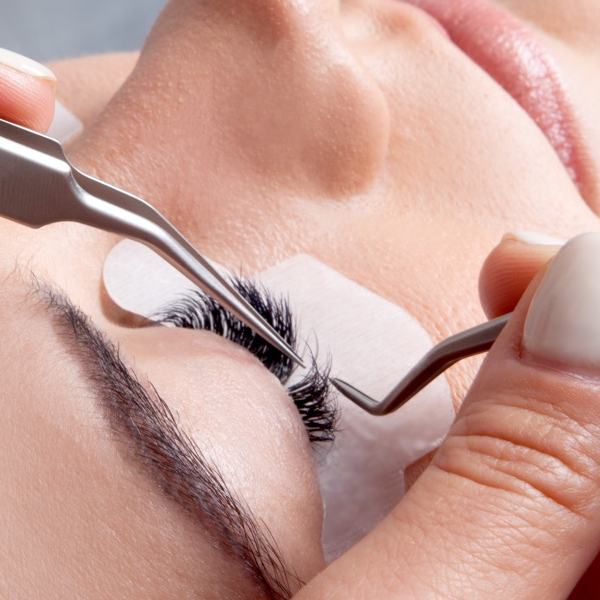 Nevertheless, it’s a common misconception that eyelash extension adhesives are the root cause of irritation and adverse reactions in the eye area. However, it is in our experience that many adverse reactions during (and sometimes even after) a lash application result from the under eye patch or the tape being used to cover the lower lashes. When in doubt about the level of sensitivity your client has, reach for Silicone Under Eye Patches. Irritation and/or adverse reactions result from either the improper placement of the under eye patch, or, from the ingredients in the under eye patch or tape being used to cover the lower lashes even if the patch or tape was placed properly. The under eye patches or tape may contain ingredients that your client is irritated by (irritants) or is allergic to (allergens). During your Pre-Application Consultation, if your client reveals that they have sensitive skin and/or allergies to cosmetics, be sure to use only the hypoallergenic Xtreme Lashes Silicone Under Eye Patches and the Xtreme Lashes FlexFusion® Adhesive – both products have been clinically tested and validated as hypoallergenic. And, ensure you are applying the Silicone Under Eye Patches properly, click here to watch our demo video. Keep your lash room’s humidity between 45%—60% and well-ventilated with the help of the Xtreme Lashes Application Environment System. To learn why 45%-60% humidity is crucial, the usefulness of the Application Environment System, and application techniques to combat too low and too high humidity, please click here. You don’t want to miss this article!